Over the course of the 6 Nations, considered by many to be rugby’s greatest championship, we will be comparing some of our favourite walking and cycling tours in the competing nations: Scotland, England, Wales, Ireland, France & Italy. The colourful buildings on the banks of the River Bosa. Discover Sardinia’s wild and untouched landscapes where the high Supramonte mountains meet rocky cliffs that fall into the pristine white sand and glimmering Tyrrhenian Sea. 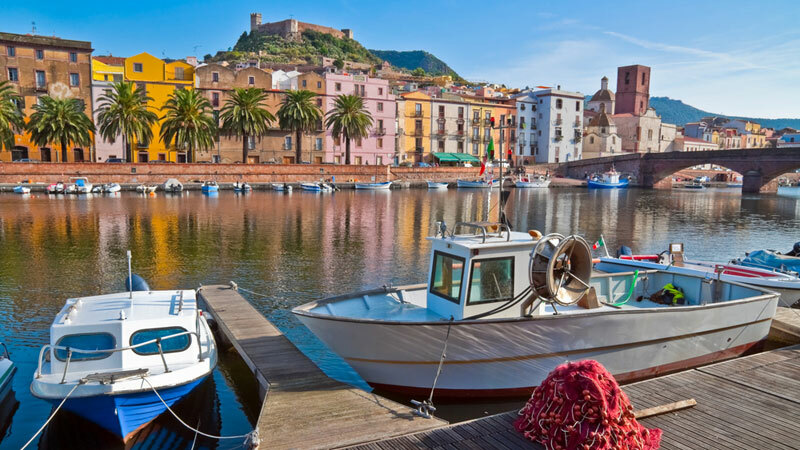 Sardinia’s dramatic mountainous scenery and stunning coastline, coupled with its unique, distinct culture and fascinating archaeological finds make it a dream destination for adventurous walkers. 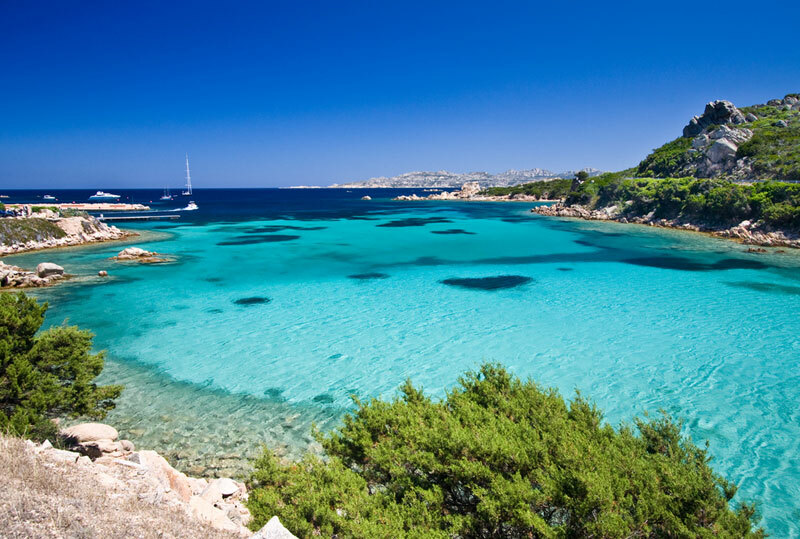 The azure waters around the coast of Sardinia. Enjoy superb walking in the Supramonte mountains, completing a circular route around Monte Corrasi, which gives magnificent views of the deep valleys below. 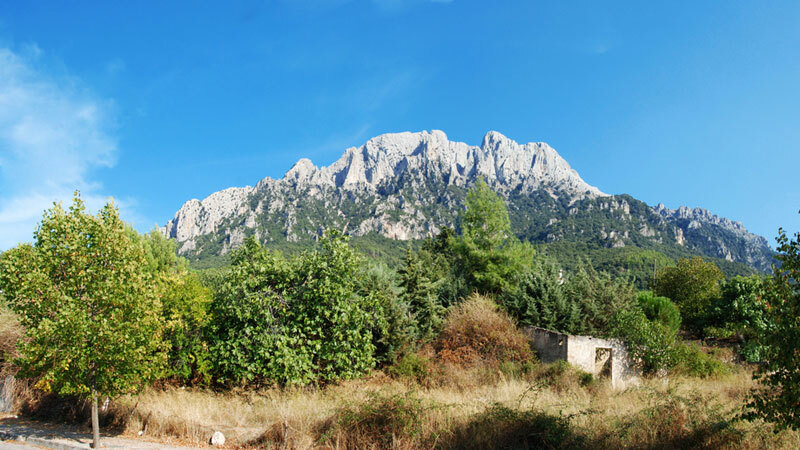 The following days you’ll hike through holm oak woods which adorn the limestone slopes, climb across a vast plateau, explore the cavernous Grotta sa Oche and wander through the narrow gorge of Surtana before climbing up to Monte Tiscali to a prehistoric Nuraghe village. The highlight of the trip, visually, has to be the day spent exploring the spectacular Gola su Gorropu, which contends with Vikos gorge in Greece for the title of ‘deepest gorge in Europe’. If you are looking for wild, rugged landscapes, a unique untouched culture and stunning coastline, as well as the added bonus of delicious food and wine Sardinia should be high up on your list of potential 2017 adventures. 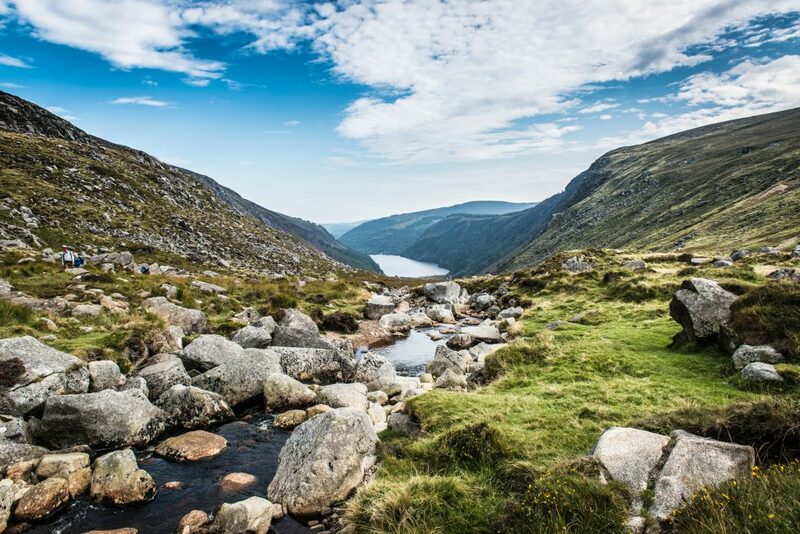 Take a journey through the Irish countryside on the oldest way-marked trail in Ireland, brought to the attention of the public by the famous hill walker J.B. Malone who developed an extremely detailed knowledge of the Wicklow Mountains and worked tirelessly to bring his vision of a walking trail to fruition. 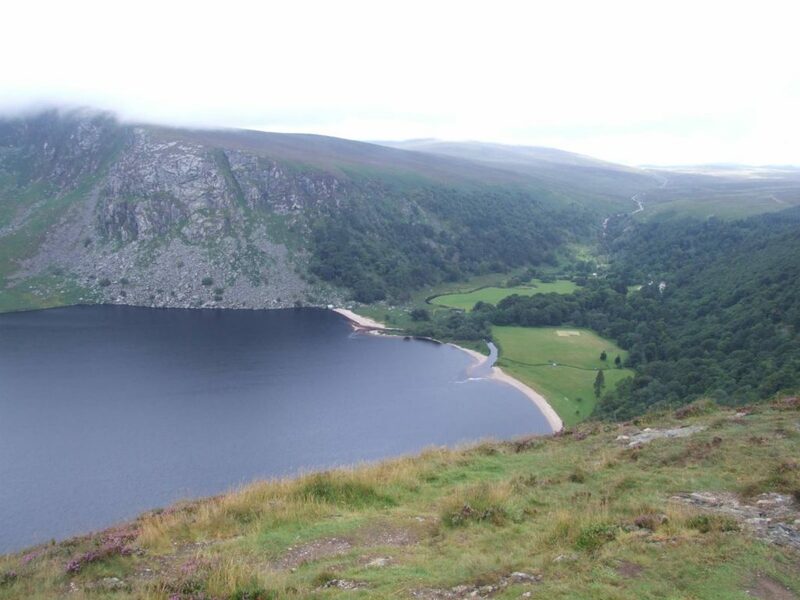 The picturesque Wicklow mountains with Lough Tay in the distance. Beginning in Dublin, a lively city that has plenty of centuries-old monuments and welcoming pubs, the start point for the Wicklow Way is in Marlay Park. The Glenmalure Valley grants some of the most impressive scenery as well as plenty of opportunities to spot the varied wildlife in the area. 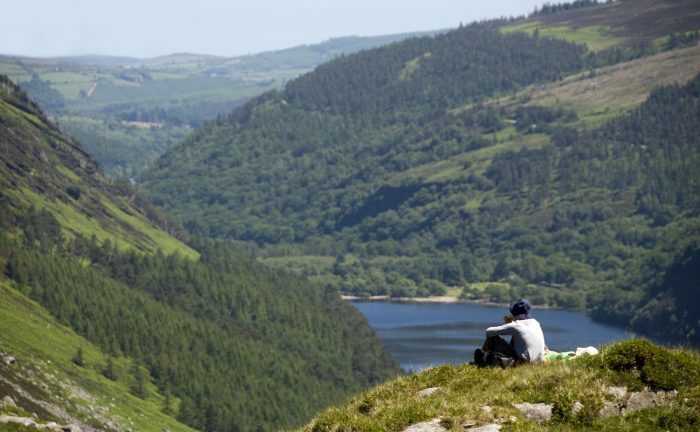 Other highlights include Ireland’s highest waterfall, Powerscourt, and the tranquil Lough Tay known as ‘Guinness Lake’. The lake is surrounded by mountains and on the northern side there is a beach of pristine white sand, appearing slightly out of place, the sand was imported by the Guinness family who own an estate in the area. 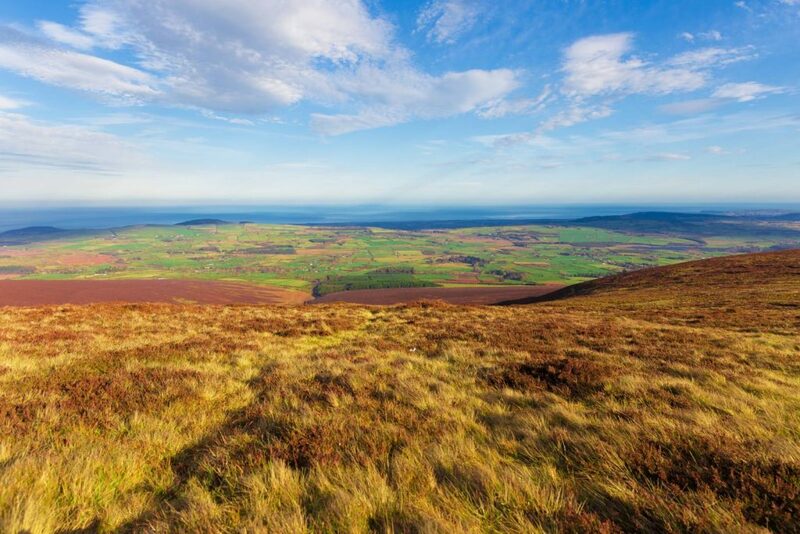 The Wicklow Way is an achievable walk for anyone with a decent level of fitness and by visiting the capital, Dublin, as well as passing through stunning scenery this is a great introduction to the beautiful emerald isle. In the Wicklow hills looking towards Greystones. For more information on our range of self-guided walking tours in Italy or Ireland, contact a member of our team on [email protected] or if you would like to receive adventure travel tips and advice straight to your inbox sign up for our newsletter!